When comparing prices on walk behind concrete saw rentals in San Jose, Hollister and Santa Cruz, ask about sales tax and environmental fees. Cutting concrete slabs, paver and brick driveways. 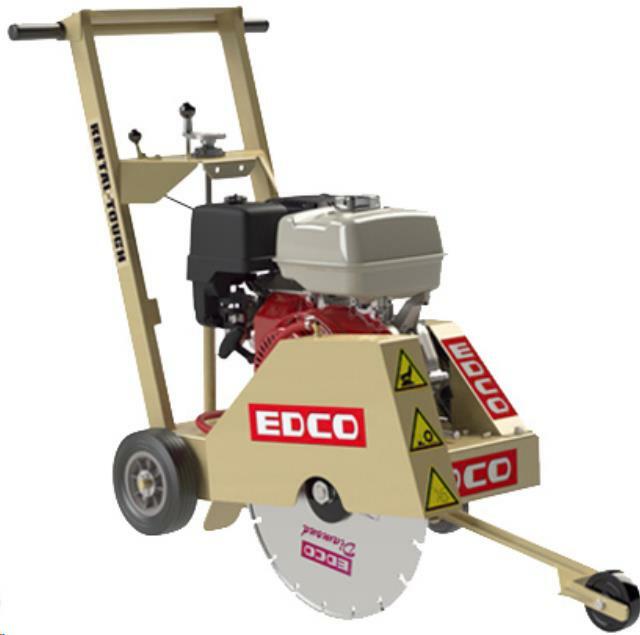 13 hp GX390 Honda gas powered concrete saw. 18" blade capacity with a 6-5/8" depth of cut. Adjustable depth control and left and right cutting capability. Rental does not include blade. * Please call us for any questions on our 14 inch to 18 inch concrete saw walk behind rentals in San Jose, Campbell, Salinas, Santa Cruz, Watsonville, Morgan Hill, Hollister, Santa Clara, Gilroy, Milpitas Sunnyvale, Fremont, Salinas, the Greater Bay Area and the Monterey Peninsula.